Information about how laws are made, the federal budget, and a list of Agencies that support Congress. Presented by the Library of Congress, Congress.gov is the official online portal for U.S. federal legislative information, including current and recent legislation, schedules, and representatives. In 1832, Congress established the Law Library of Congress as a separate department of the Library. 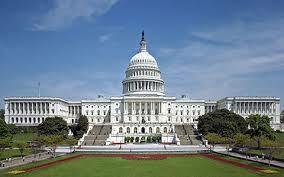 It houses one of the most complete collections of U.S. Congressional documents in their original format. In order to make these records more easily accessible to students, scholars, and interested citizens, A Century of Lawmaking for a New Nation brings together online the records and acts of Congress from the Continental Congress and Constitutional Convention through the 43rd Congress, including the first three volumes of the Congressional Record, 1873-75. Current and recent (back to 1993) Congressional bills and resolutions are available on FDsys.gov for the House and Senate. Calendars for both the House and Senate are available on FDsys.gov. "MuckRock helps anyone file, track and share public records requests, using a mix of software and hands-on help to make the process as easy and transparent as possible. Originally made possible by a grant from the Sunlight Foundation, the service is now funded primarily by its users, including journalists, researchers, activists, and people who just want to better understand what their government is up to. In addition, MuckRock works with journalists to help conceive, pursue, and publish original stories on issues that matter with exclusive primary materials obtained via public records law. Government materials on MuckRock are available free of charge and, with some exceptions, without restriction.